One of the most difficult skills to learn in cake decorating is how to write on a cake. It is easy to ruin a gorgeous cake or cupcakes with sloppy or badly aligned letters. In order to become a competent cake writer, you must mimic the lessons you did as a child when learning to write your ABCs. Trace letters with a full piping bag again and again on parchment taped over different alphabet primers. This will help you gauge the correct flow, pressure, and angle needed for perfectly formed letters. A person who has lovely handwriting is not guaranteed a similarly attractive piped icing look so it is imperative to practice, practice and more practice until your lettering is consistently perfect. You might find that certain alphabet styles work better for you so try many “fonts” to pinpoint your best-looking letters. After you master that style of writing you can branch off into other styles of writing. Different icing types can also affect your skill at piping letters because you could get better results depending on the texture and flow of icing. Write with melted chocolate, buttercream, royal icing and gels to discover what you like best. One foolproof method of putting messages on cakes without risking your perfectly iced surface is to make a plaque out of gum paste, pastillage or fondant and simply write on that instead of directly on the cake. If you make a mistake you can wipe off or scrape off the letters and start over. When the letters are perfect you place the plaque on the cake and decorate around it with the rest of your design. If you simply cannot get the writing to look good enough and your time is limited you can always use cut out letters from rolled fondant or candy molds filled with pressed fondant in letter shapes to spell out your message. If you are a beginner cake decorator try writing your message in cursive fonts because it can be very difficult to control the flow and stop of icing cleanly in block letters. 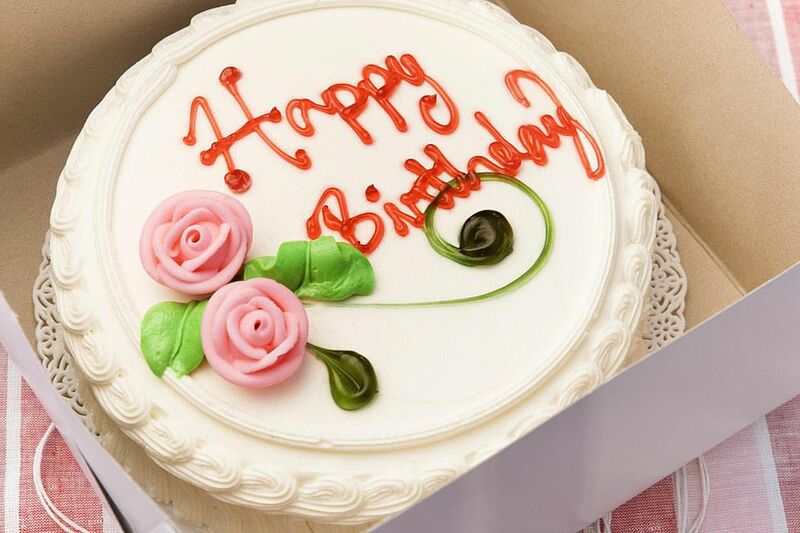 Cursive writing fits in well with elegant or whimsical cakes especially if your printed alphabet is shaky. If your cake is finished in buttercream always refrigerate the cake first before writing on it because if the cake is chilled you can easily scrape off any errors without completely wrecking the surface of the cake. Make sure you do not write on your buttercream finished cake with royal icing because the fat in the buttercream will break the royal icing down. Take the time to cut out a piece of parchment exactly the size of your cake surface and plan out what you wish to write on the paper. This ensures there is enough space and you can line up the letters evenly. Lay the paper on top of your chilled cake and prick out the letters through the paper with a toothpick. Then remove the paper and pipe the message using the now visible letters on the cake. If the pricked out letter outlines fail to produce the flawless results required, you can always buy a writing imprinter to help line everything up. Always do the written portion of your cake design before adding the rest of your decorations in order to leave enough room for the message. It is very easy to get excited about your flowers or other design elements and get carried away when placing them on the cake. Remember it is always easier to add than take away! Pipe your letters as slow as is required by your skill level and the type of writing you are putting on the cake. Keep the bag at a 45-degree angle and do not drag the tip through the icing. Take your time and if you do make an error try embellishing the letter with squiggles, dots or swirls to camouflage the mistake. You can use any tip for writing but the best decorator tips to use are round tips. These tips could include: 1, 2, 3, 4, 5, 6, 7, 8, 9, 10, 11, 12, 260, 800, 801, 802, 803, 804, 805, 806, 807, 808, and 809. Keep in mind that the very small tips are difficult to squeeze stiff icing through and you might rupture the bag trying to write with them. Also, do not load too much icing into the bag or it is hard to handle.